Surprise your loved ones with a personalised cake. 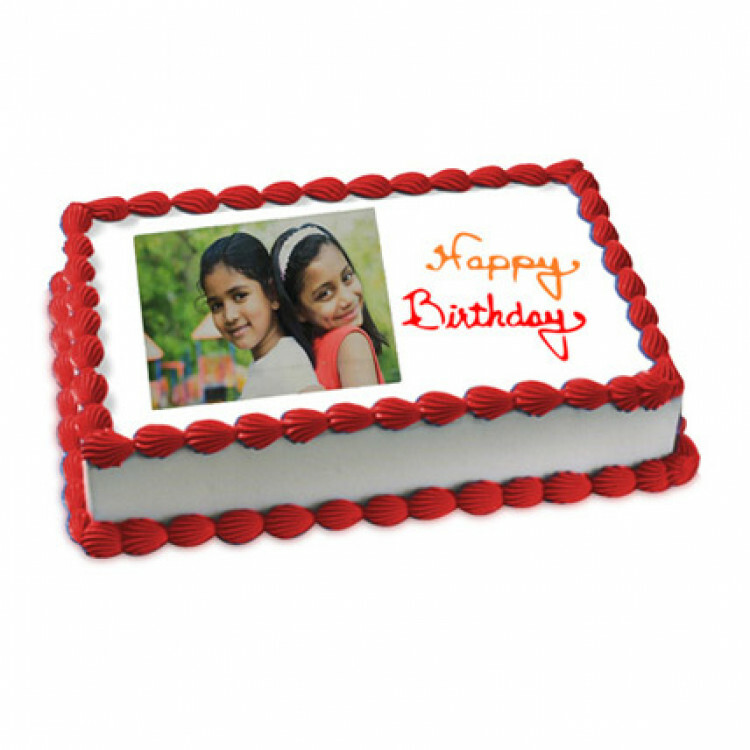 Get your picture printed on 1 kg cake. 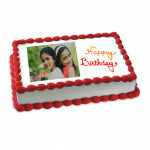 Share the photo cake at occasions such as Birthday, Anniversary, Christening, or any other special occasions. The cake available in a variety of basic flavours such as pineapple, vanilla, butterscotch and chocolate. Please note: The default flavour is a chocolate truffle. In case if you want some other flavour, please mail to flowersnemotions@gmail.com within half an hour of placing your order. Do remember to mention your Order Number in the subject line.